In Part I of this essay, I was grateful to share the research process that I went through to understand the meaning of Guru Arjan's Sukhmani Sahib. That process took about three and a half to four years to complete. Once the research is done, the question becomes: how to translate in a way that has beauty and depth in English, while still staying true to the meaning of the original. At this point, the process stops being about translating, per se, and more about poetic interpretation. The first guideline that I use to poetically interpret Gurbani is this: the dictionary is not the Guru. English, as a language, does not encapsulate the same world view that Gurbani does. If it takes a sentence or two of English to render one word or phrase of Gurbani appropriately, that is ok. The second guideline that I use has to do with meaning. Every verse in Gurbani contains an entire world. Meaning does not come word by word, or sentence by sentence. 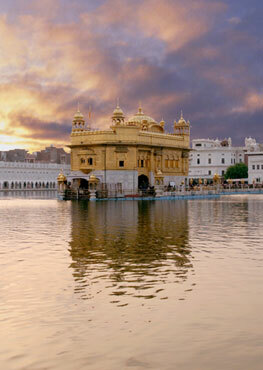 The meaning of a Shabad comes from a wholistic understanding of the complete verse. So it becomes important to perceive the whole and then find the English to communicate the whole. The process of seeing the world within the Bani and finding a way to express it into English without getting locked into dictionary definitions takes time. And the key is revision. Thomas Edison once said genius is one percent inspiration and 99 percent perspiration, and I believe art works the same way. The mechanical process of poetically interpreting Sukhmani Sahib comes down to rewriting and rewriting and rewriting and rewriting until something finally "clicks." It took a year to poetically interpret the first three Ashtapadis of Sukhmani Sahib. But luckily, I got faster as I went. And poetically interpreting the final 11 Ashtapadis happened in a 12 month period. All the rewriting happens by hand. At the very end of the process, I compile a complete copy of Sukhmani Sahib on the computer, making final tweaks along the way. That, along with sharing the draft with some friends and getting their feedback, is how this particular translation of Sukhmani Sahib came to life. This process of poetic interpretation took over four years to do. The last note I would like to share is this. The illusion is that "I" am translating Gurbani. The reality is that Gurbani translates me. To engage in this work, I have to let the meaning of Gurbani get into me. Challenge all the blind spots, all the limits, and all the ego I bring to the table. The Guru has to cause me to see something I have never seen before. To rip me apart, break down my beliefs and rebuild them. It is an intimate and sometimes incredibly painful process. 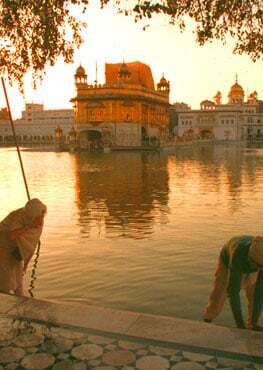 And I do fight with the Guru, sometimes to the point of tears. Sometimes, I think it is a blessing that I live alone. Otherwise, people might think I am a little crazy watching all of this unfold. Thanks again for being part of this incredible journey with me. My deepest prayer is that this translation will help people find their connection to the Divine, and bring peace and healing to their hearts and minds. Much Divine Love to you all.